What has RV changed with its media accreditation for the 2016-17 season? Why has RV made these changes to its media accreditation? that RV should bring its media accreditation into line with other professional sports and ensure any returns from the commercialisation of imagery are delivered back into the sport for investment in prizemoney, tracks, infrastructure, integrity and welfare for the benefit of all 70,000 active participants. Do the changes to media accreditation mean that freelance photographers are banned from taking photos on a racecourse? No. The change from accrediting an employee to their employer does not preclude freelance photographers from being engaged to work for one or more approved Media Organisations on raceday. Neither does it preclude any photographer from being engaged by any party to take photographs at trackwork, stables, studs and non-raceday events. In past seasons, freelance photographers have always been required to work for a media organisation to be accredited by RV. By accrediting freelance photographers via media organisations, the media organisation is responsible for ensuring that their photographers adhere to the terms and conditions of RV’s media accreditation. This brings racing into line with other professional sporting organisations. What does RV define as an approved media organisation? (c) employ properly trained media personnel. This is the same standard used by other professional sports within Australia. Why are studs, sale companies, trainers and syndicators not deemed media organisations? Studs, sale companies, trainers & syndicators are not deemed to be Media Organisations as their primary purpose is not syndicating news content for or providing News Reporting. In 2013, RV agreed to introduce an Editorial Channel Category B to allow accredited photographers to commercialise their images to studs and sales companies (high resolution images for marketing) and trainers and syndicators (low resolution images for website use only) on the basis that the industry did not have a suitable alternative to service these stakeholders. Racing Victoria has invested in establishing an industry-owned business, Racing Photos, which can now service stakeholder requirements. Where can trainers, studs, sales companies or syndicators that previously received images via an accredited Editorial Photographer get their images? They are entitled to access images from all professional Victorian thoroughbred race meetings from the industry-owned Racing Photos and Getty Images for use on their digital platforms and in their marketing and promotional materials. Why do trainers, studs, sales companies or syndicators have to pay for raceday images? The primary purpose of trainers, studs, sales companies and syndicators is not News Reporting. They are businesses where imagery is used ultimately for a commercial benefit. However, Racing Victoria recognises that all are important industry stakeholders and thus the industry-owned Racing Photos has an “Industry Rate Card” which affords these groups a 50% discount on all public subscription rates meaning that images are available from as little as $2 each. Alternately, any person can obtain a free watermarked image from Racing Photos for use on a website, in email communications and on social media channels. Any image can be copied and saved from the Racing Photos website (photos.racing.com) for this purpose free of charge. Do the accreditation changes compromise the quality of photos available to purchase from Victorian race meetings? No. The industry-owned Racing Photos and renowned global photography syndicator Getty Images have been granted the exclusive commercial rights to provide images to any parties outside accredited Media Organisations so that all within the industry may benefit. Racing Photos are at every professional race meeting in Victoria. They boast a team of professional photographers with more than 20 years’ experience each covering racing and other professional sports. Racing Photos will have a minimum of four photographers at Group and Listed meetings meaning a wide variety of images are captured. 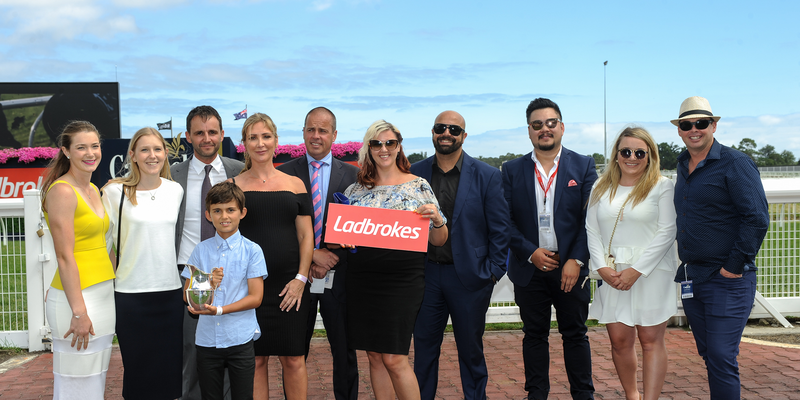 How can Racing Photos service the needs of an individual stakeholder if their first priority is capturing the winning horse and connections? Racing Photos can and will accept briefs from any subscriber who wishes to commission specific images to be taken before, during or after a race to suit their individual marketing and communication needs or for personal use. These images can be locked down in a secure portal so only the subscriber commissioning the photos can access them. To ensure it best meet the needs of the industry, Racing Photos has already extended an invitation to experienced freelance photographers to join the Racing Photos team as a raceday contractor, while allowing them to continue shooting for any party at trackwork, stables and studs for their personal benefit. Does Racing Photos only photograph the winning horse? No. On every raceday featuring a black type race each horse will be photographed cantering to the start as a minimum. Whilst all may not be loaded to the Racing Photos website they will be available upon request for those interested in purchasing. Furthermore, subscribers wishing to get multiple and diverse images of their horse(s) can specifically request that prior to the race meeting. Can accredited photographers supply prints, framed prints or memorabilia to any person? No. Accredited photographers have not been permitted at any time over the past decade to supply prints, framed photographs or memorabilia of Victorian races to any parties. This has been and remains the exclusive right of the Official Raceday Photographer which at Victoria’s metropolitan and major regional tracks was Slickpix until assumed by the industry-owned Racing Photos in April 2016. Any prints, framed prints or memorabilia supplied by an accredited photographer prior to this season has been done in breach of their terms and conditions of accreditation. Can accredited photographers post their images on social media? Yes. An accredited photographer can post images on social media for the sole purpose of posting commentary to promote the relevant Editorial Channel and not as an Editorial Channel itself. In doing so the photographer should always acknowledge the media organisation within each social media post either by including the media organisation’s watermark on the image and/or including the media organisation’s handle in the post. Do the changes to RV’s media accreditation compromise the promotion of racing? No. RV believes the changes are in the best interests of the industry and align with other professional sports. Racing relies on the coverage and support of media organisations who will continue to be accredited under the revised media accreditation. The investment in Racing Photos has also made it easier than ever for media organisations, owners and stakeholders to access the images of racing from every professional Victorian race, seven days a week, at the simple click of a button within 30 minutes of a race via photos.racing.com. In addition, Racing Photos has established a partnership with Getty Images. This means that every Victorian racing image is available to Getty subscribers. Getty Images offers the biggest databases of images in the world and has every major media organisation in the world as a subscriber. What are the benefits for the industry having Racing Photos? Previously there were five separate businesses operating as Official Raceday Photographers in their respective regions across the state. In Racing Photos, the industry now owns a business which has consolidated this into one Official Raceday Photographer. As a result, any person can now access an array of great images from every professional race meeting in Victoria from the one website – photos.racing.com – with each winning moment captured by a team of award-winning photographers. Photographs are uploaded to the Racing Photos website within 30 minutes of a race being declared, and can be ordered on tablets or desktop computers immediately. Owners are also emailed a link to the photos and race replay following their race. Racing Photos has enhanced the range of products on offer from the Official Raceday Photographer to over 300 with prints, framed prints and memorabilia priced from just $25 and including free delivery anywhere in Australia. Any revenues made by Racing Photos will be reinvested directly back into the industry into prizemoney, infrastructure, tracks, integrity and welfare for the benefit of all participants. As an owner can I take a photograph of my horse on a raceday? Yes, owners and the general public can take photos of anything on raceday, including horses, provided it is for personal use only. No person can make available any images for commercial exploitation, sale or distribution unless approved by Racing Victoria as the manager of photography rights on behalf of Victorian Race Clubs. Personal use is commonly defined as use that is not for commercial gain. Commercial use is defined as use that is intended for commercial, promotion, endorsement, advertising or merchandising purposes. If I take a photo of a horse what can I do with it? Photos taken on a raceday can only be used for the private enjoyment of the person taking or making the images. This includes the posting of images on their personal social media channels. Can an owner or member of the public publish photos taken on a raceday on social media? Yes. Owners or members of the public can publish images from the racetrack on their personal social media channels. These images are for personal enjoyment and not for commercial use or benefit. As an owner, is there any difference between me using an iPhone or professional camera to take a photo of my horse on a raceday? All people attending a race meeting, including owners, are bound by the Terms of Entry of the Racecourse so they should be referred to on the respective Club websites. As a rule, most sporting facilities do not allow professional photography equipment to be taken into a venue unless the person holds the appropriate media accreditation. Racing Victoria is committed to upholding the highest levels of Integrity and enforcing this for the Victorian Racing Industry. See how you can get involved in the Victorian Thoroughbred industry. Find out more about the licensing and administration of bookmakers as managed by Racing Victoria.